December 24, 1921 – Ottawa’s Harry “Punch” Broadbent scored in a 10-0 Senators blowout of the Canadiens, the first of a 16-game goal-scoring streak, an NHL record. Although since the record was set in 1921 – way back in the day – many consider Charlie Simmer’s streak of 13 games (1979) to be the “true,” modern-day record. December 24, 1949 – Goaltenders Bill Durnan of Montreal and Chuck Rayner of New York each allowed zero goals, which was unfortunate for them because they were playing each other. They each recorded shutouts, but also recorded ties. It was the only scoreless tie in league history on Christmas Eve and Christmas day. I guess the players – the skaters at least – were already in holiday mode, protesting by not scoring that they were playing on the day before Christmas. Either that or the goalies were just phenomenal (The Hockey News called their performances the best of the season). 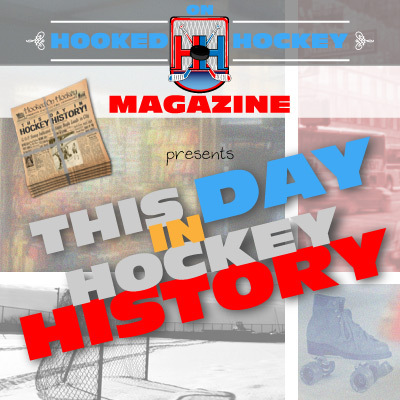 December 24, 1955 – The Canadiens beat the visiting Red Wings 4-2. It was the 25th consecutive game in which the Habs held their opponents to three goals or fewer. Other facts: The Leafs played the most games on Christmas Eve at nine, going a solid 5-2-2 on that day. Montreal was second with seven. The Rangers had (arguably) the most success, going undefeated in their five games (3-0-2). That’s pretty much it for the interesting hockey stuff that happened on this day. Have a nice holiday, enjoy the ice, and maybe you’ll be visited by the ghost of hockey past!